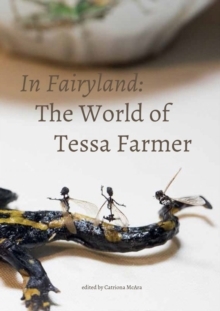 For almost two decades now, Tessa Farmer has been evolving a new species of fairy. They represent the point at which science tilts into fantasy - as the sleep of reason produces monsters. In Fairyland is the first substantial scholarly volume devoted to Farmer's work. Here, leading thinkers in the fields of animal art, natural history and gothic studies assemble to investigate the significance of Farmer and her fairies, covering aspects from their relationship to fairy traditions in folklore and art, to entomological precedents for the malevolent behaviors of her creations.